The Entrepreneur's Guide To Time Management is the ultimate guide and workbook for entrepreneurs who need to learn how to manage their time effectively. 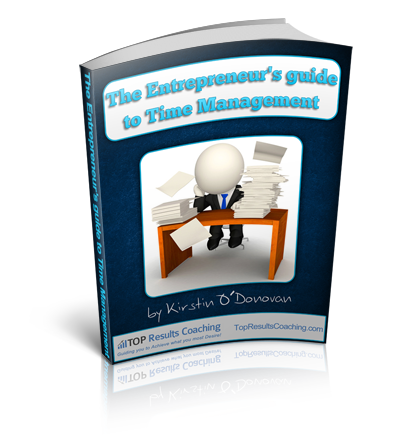 This workbook guides and supports entrepreneurs to improving their time management with various tools, techniques and coaching exercises with 79 Pages of theory and activities. Entrepreneurs learn everything from how to identify their time thieves, how to create and manage a workflow system, how to develop effective behaviour patterns, goal setting and overcoming procrastination.